Yes, we have finally moved to our new home. It's a salutary fact that we started looking into this business of building our own home on the coast nine years ago . 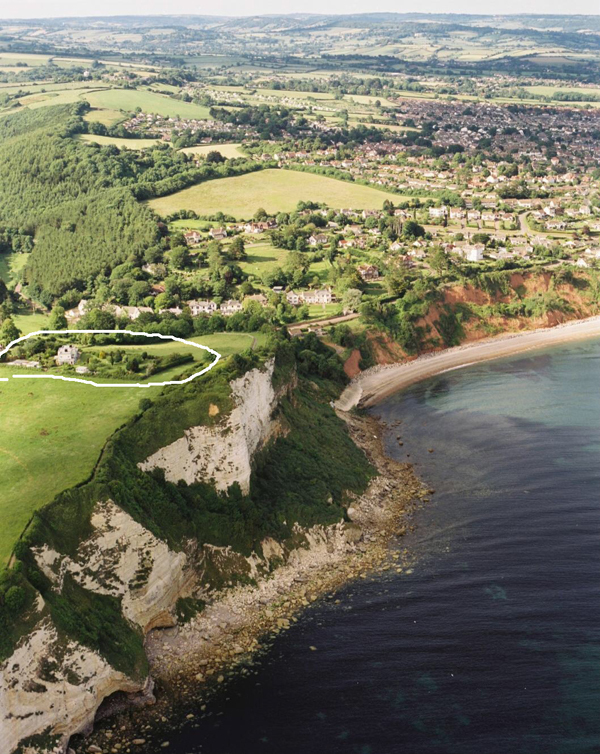 . . Our new address is Cliff Edge, Beer Hill, Seaton EX12 2QD, UK. That's our plot, outlined in white, on top of White Cliff, but not that near the edge. We demolished the old building in the picture and built on the same footprint. Our email addresses are of course are unchanged. There is much to do now to make a home out of the house: landscaping, installing 40m of shelving for books, sorting out the external store, and of course getting The Old School Press into the building. We plan to be printing again before the end of the year, and in particular setting to work on The Lost Colours of the Cyclades. 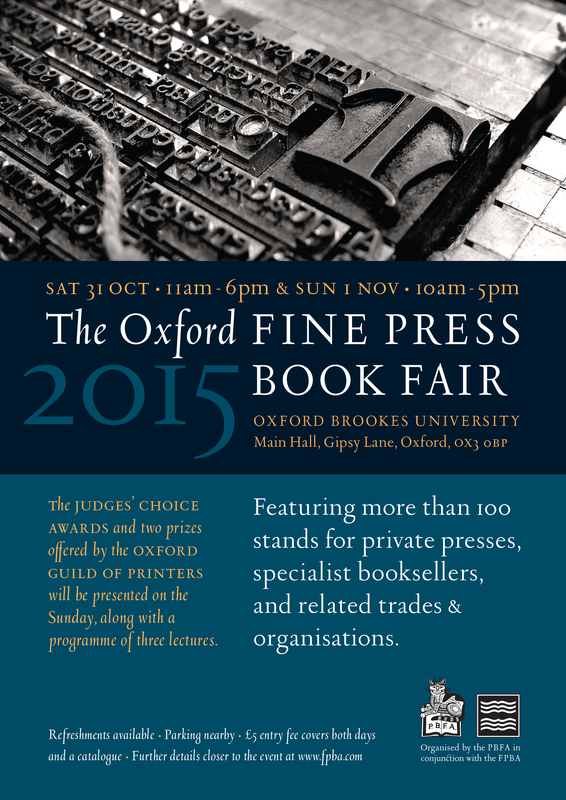 It seems to come round faster each time - the Oxford Fine Press Book Fair - the customary mix of presses, dealers, suppliers, lectures, and awards. Full details are at the FPBA website. We look forward to meeting friends, old and new. The exhibition is in the fine setting of the Layton Room at the Foundation. There is a nice catalogue that accompanies it, with short appreciations of each of the presses on show. The exhibition is on for a month. We have three books on display: Palladio's Homes, Twelve Poems, and tokonoma.